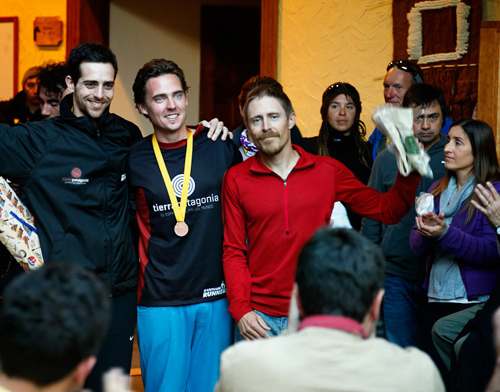 Contributing editor Sean McCoy is in Chile this month to cover and race in the inaugural Patagonian International Marathon, which took place last weekend on September 23rd. 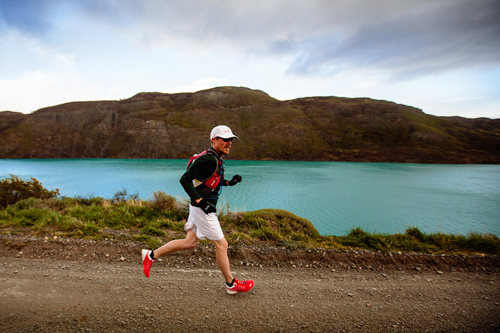 Happy to report McCoy ran a 3:18 marathon on the tough course through Torres del Paine National Park. This netted him a 5th-place overall finish in the debut event, which was won by Australian Luke Myers. Here are a few images from the race courtesy of Chris Radcliffe as well as McCoy’s brief communiqué from remote Patagonia, where he typed a report on his phone and sent it via weak signals to our office across the globe. 09/25/12 — Hey All, I think Chris just sent you some photos. Just a quick update here and we’re off to the airplane. This week has been NUTS! 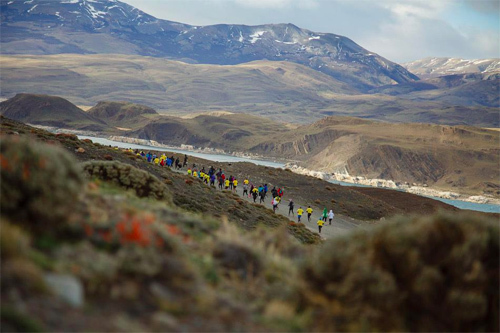 The race was along an incredible course on a gravel road in the Torres del Paine. It climbed and fell and wound through valleys, past lakes, and under the iconic Torres. I fell into a great pace from the start and was helped out early by a strong (like 50mph!) tailwind. I plugged along over the rocky ground that was closer to a trail run than a road marathon. The real test was in the final 10K when we turned uphill and ran into winds that were clocked up to over 100K per hour! This is hurricane-strength wind. I crossed the finish line at about 3 hours 18 minutes, which was about 21 minutes behind the leader. I was completely spent and very happy with my performance. The location is amazing but very remote. I’m now on my way to the airport. Gotta run. I’d like to write a much longer report but am totally exhausted and have no real signal. I am also just mentally fried. Talk to you soon! 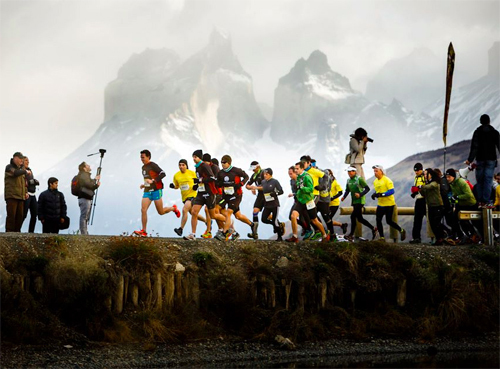 —Contributing editor Sean McCoy is in Chile this month to cover and race in the inaugural Patagonian International Marathon. Monitor the site and our Facebook for live coverage this week.